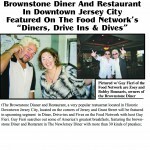 The Brownstone Diner & Pancake Factory in Jersey City Takes that Old Diner Fare and Makes it New Again! A Friendly Face, a Cup of Joe and Wow! 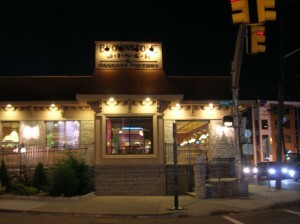 New Jerseyans know diners like they know Turnpike exits. They even know the best diners at Turnpike exits. There’s something about a diner’s home-cooked fare and no frills atmosphere that conjures up images of Edward Hopper paintings and memories of 3 am conversations over coffee and pie. The diner mystique even has a TV following with viewers tuning in to the Food Network’s “Diners, Drive-Ins and Dives,” where host Guy Fieri travels the U.S. eating blue plate specials from the menus of greasy spoons. 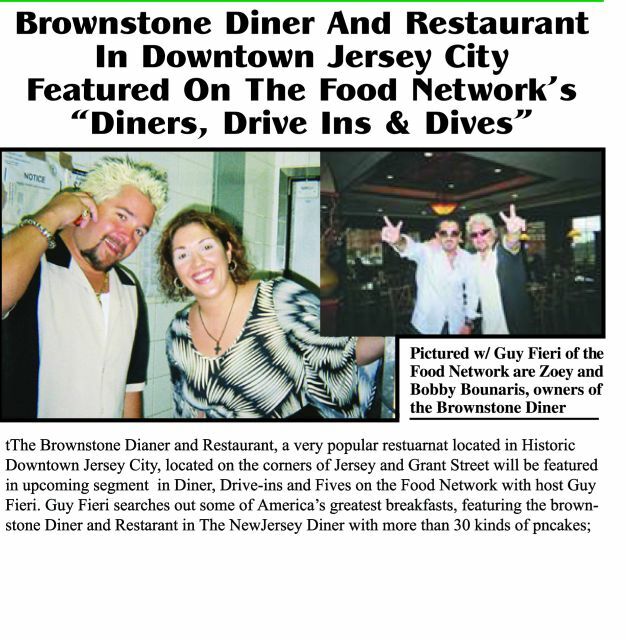 A while back, one of the stops on Fieri’s show was the Brownstone Diner & Pancake Factory on Jersey Avenue in Jersey City across from the Jersey City Medical Center. But unlike many of the diners featured on the show, the Brownstone is more upscale and the menu features entrees you’d likely find in New York and at higher prices.